Although the running season never stops, we know that during the Christmas time the city streets start to be crowded. That’s why we’re catching these last few days before the winter fever and invite you to run Zagreb, Rovinj or Munich with SightRun App! SightRun is a great app for those who travel often but don’t have a lot of time in a new city to go on a tour and do the daily run. With the app you don’t have to do any research, take a map with you, look at your mobile phone. SightRun has audio navigation with cool stories about the attractions you see along the way. So don’t forget to pack your running shoes and headphones for your next trip! How to win a T-shirt? We decided to give away 10 cool SightRun T-shirts to 10 lucky Sight Runners. So what do you have to do? Run of course! (Or walk!) Take SightRun app, make sure you register and download the tour for the city you wish to run. After you finish your run, share your running summary on Facebook and tag it with #SightRunApp. The deadline for the giveaway is December 10th and on December 12th we’ll announce 15 lucky runners that will get our T-shirts. Munich: one awesome 6.5km tour around the main city attractions starting at the Marienplatz. All tours are available in English and Croatian. We invite locals to run their city! If you’re a local runner this is a great opportunity to run your city and to explore it. 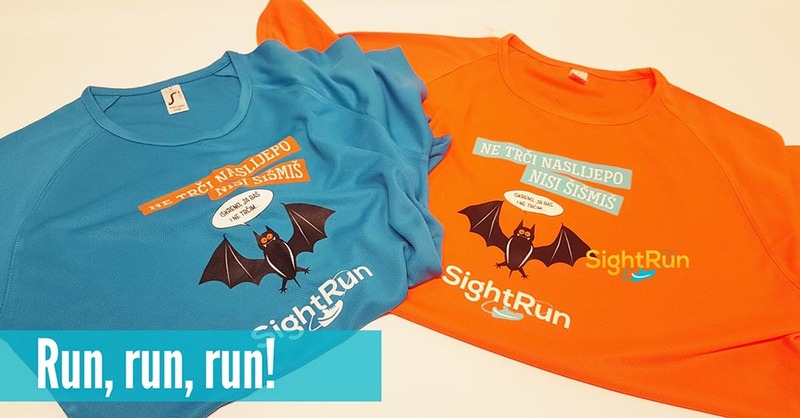 Runners that tried running in their own town with SightRun app told us that not only they had fun running with the app, but that they also re-discovered their city and learned new things along the way. That’s the spirit! Don’t be a stranger in your own city. Run it and love it! Now, go for a run with SightRun app! If you like what we do, you can support us by following us on Facebook, Instagram or Twitter and sharing our story with your friends. Let’s make the whole world run with SightRun App!